Who’s ready for camping season?! I know I am! Hot meals make camping much more enjoyable, especially on those cool nights or cold mornings. Here are some recipes that are easy to cook over the fire and perfect to warm you up! 1. Make some yummy Parmesan popcorn for a perfect snack. 2. Warm and Melty Cheese Dip would be a great appetizer. 3. Grill some hot dogs and some yummy veggies in a foil packet. 4. Barbecue Chicken and Potatoes are perfect for scout camp or an easy dinner. 5. These Green Chili Cheese Fries are fit for a king! 6. Potato Boats are would be a a dinner everyone would love! 7. A quesadilla would be delicious around the campfire after a long day of fun! 8. For a yummy potato breakfast that will get you through the morning go here. 9. This Lumberjack Breakfast will be so yummy to wake up to in the morning! 10. Pizza + Nachos + camping = delicious! 11. A delicious Hobo Dinner would hit the spot! 12. Campfire pizza log would be a hit with my boys! 13. Campfire Pigs in the Blankets gets everyone enjoying cooking! 14. Having Apple Crisp while camping would be a real treat! 15. Campfire Cinnamon Rolls would be a favorite for my family! 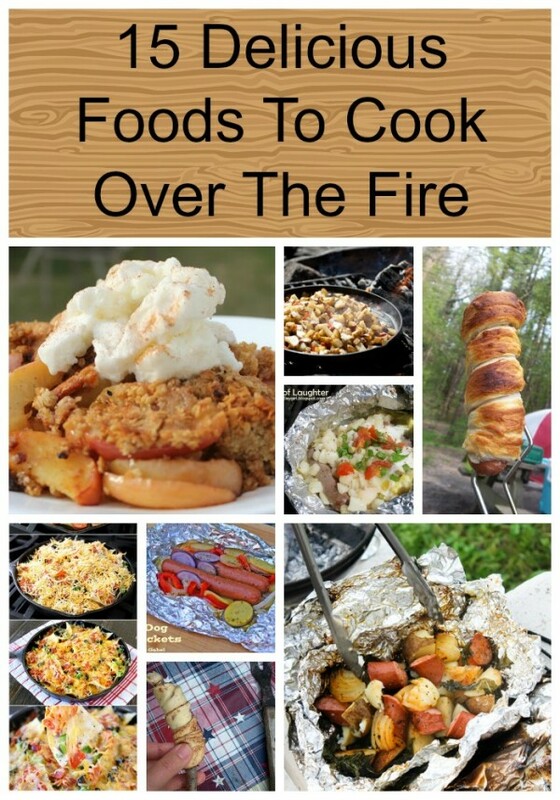 Do you have a favorite recipe you cook while camping? Do share!! « Surfing: She Is In For The Surprise Of A Lifetime! Your post is really amazin thanks for sharing now i can share this kind of fooed to my young boys in the next camp.